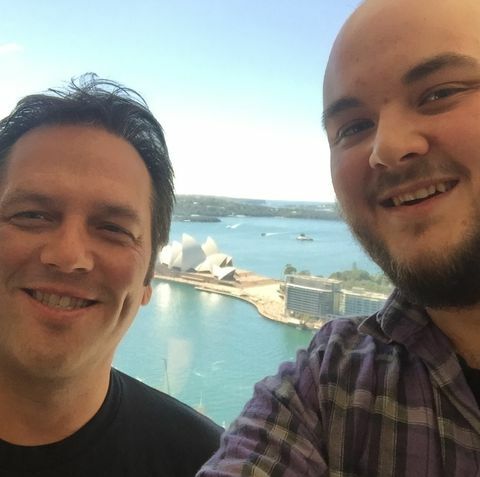 With the Opera House as a backdrop, Baz grills head of Xbox Phil Spencer on Microsoft's plans for PC, VR, Scorpio, and more. Q: Last year at Microsoft’s E3 press conference you had two New Zealand studios on stage – Dean Hall from Rocketwerks and Steven Bradley from Aurora 44. Can we get some insight into how that came about? Spencer: Our ID at Xbox programme is a critical part of our overall platform. Chris Charla who runs that programme was here a couple of years ago for PAX. How it happens is actually probably simpler than you’d think. Chris comes in, I meet with Chris every month, and we go through a lot of the ID games that have come in through submissions, some of the big games that were tracking and how they all look right now. We find certain games that we like the look and the feel of and we start to track them for consideration in our E3 show. Sydney selfie! Phil, Baz, and the Opera House. We don’t think about it from a geography standpoint – we are actually just thinking about it from a content standpoint, which I think makes things showing up on stage even more valid. That’s what we do, we sit there every month, and Shannon Loftis, Chris Charla and I go through all the games. That’s how we find things like Cuphead and Inside and Below. We have a pretty long history of work with teams in this region, in Australia and New Zealand – even back to the original Xbox with Micro Forte doing a big shooter MMO that didn’t actually end up coming out. There is a really good creative community here, and I know that while some of the big publishers aren’t here with a big presence anymore, I think the amount of creative energy still coming out is fantastic. It’s great to see that indies have created an outlet for their products, to make some money and build their studios. Q: We still know very little about what Aurora 44 is working on. Was the inclusion of a little-known studio like Aurora 44 an attempt to bolster the studio's reputation so that when its title is ready for reveal, there would be a recognition from players as the studio from your stage? Spencer: Usually, we have seen more of the game than we will actually show up on stage in those instances. 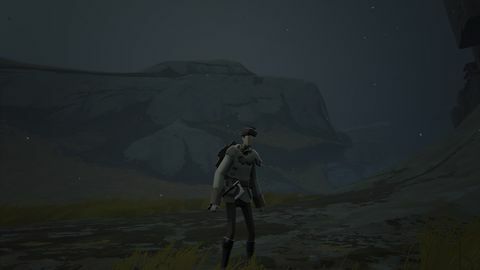 While the game might not be ready to show on stage, there is something about the creative and the idea that the game is pushing that we fell matches with what we are trying to do as a platform. In certain instances because of time restraint in the show, or where they are in their content creation, we might have a short clip or simply introduce a studio that we are betting on for something in the future based on what we have seen. We rarely will put someone on stage not having seen the creative behind the game. I can’t think of a time where we have done that. Because, in the end, gamers play games they don’t play game studios. I will say that the downside to this – and we are kind of living through this right now with a game like Cuphead – is that some of the smaller indie studios have to try and be predictive about when those games are going to come out, and with so few people at a studio that can be difficult. We run into situations where we have a game with a certain ship date in mind and then that date moves. They should take as much time as they need to get the game right, there is no question about that. But, it does sometimes mean that some of those indie games will sit out in the announced stage for quite a while. But, I think there is something kind of fun about that. I mean, when something like Inside finally does come out – which is still my game of the year – there is something amazing about it. That was like a four or five year product. Q: For the first time since launch, Xbox has been the best-selling console two months in a row on NPD. Are you feeling pretty good about that? Spencer: [Hesitates] I do. I mean, I don’t want to downplay this, but I also don’t want to overplay it. I don’t think it is genuine for me to crow about two months in a row and not say something in the other months. Q: What do you think the factors are right now that have allowed Xbox to be the best-selling? Spencer: To be clear, NPD is just the US. So there are a lot of other places where we are not best-selling. I think we have a really good product in Xbox One S, but winning July was before the Xbox One S was out. I’ve been on Xbox since the original Xbox and I think there is a brand component to how we talk about what we are doing and what people see that we stand for. I’ve been in this job [Head of Xbox] for two and a half years now. We’ve been on a journey to make sure that Xbox is seen as a gamer's brand that's investing in what gamers want – things like backwards compatibility, things like cross-play, things like Xbox Play Anywhere. And our first party content line-up I’m really proud of, it’s great to see how Forza Horizon is doing, it’s really incredible. I think the culmination of us continuing to invest in new IP, continuing to have the games from our big franchises come out, and the announcement of both Xbox One S and Scorpio at E3 this year… these things give people the sense that we are in this for the long run, that there aren’t questions about where Xbox’s head is at. When people got their eyes and hands on Xbox One S, they saw that this was something that works for them. Even though we won in July before it came out, I just think the overall brand momentum has played well. It’s really great, not only in North America with NPD, but also to see the share of games that we have made in many other major markets, including here. Spencer: Yeah, I watched it. Q: Now you’ve had some time to percolate on not only what Sony has announced, but also how it has been received, do you have any thoughts on the console? Spencer: When I got into this role, we started on our journey of thinking about a hardware refresh. That was two and a half years ago. We’ve basically spec’d out what this year’s refresh would look like, from CPU, GPU to memory. What they’ve done with the Pro is about what I think you can do this year. I think they picked a spec, a timeline and price that they wanted to ship at, and I think they did a good job of designing a console to those constraints. When we looked at that opportunity to ship something this year – which we could have done – I didn’t think for us that it hit a natural performance point that consumers would gravitate to. And I knew that we were going to have the One S at that point – we had locked on that, though we hadn’t actually locked on all the decisions yet. The 4K drive is something we locked on a little bit later for instance. So for us, doing so much work on PC at this time, seeing what we were doing with 4K game on PC and seeing 4K TV’s coming, I said lets go build something that can show those games at 4K on console and TV. We couldn’t do that this year. Q: Let’s talk about 4K then. There don’t seem to be that many 4K TV’s out there yet, though they definitely do seem to be becoming more accessible. This push for 4K seems a little premature, not just in the prevalence of the TV, but also in terms of the constraints it might put on developers. Why do you feel like now is the time to move into 4K? Spencer: I don’t know that I see it as a 'now'. I mean, the decision that we picked for Xbox One S with the 4K Blu-ray drive and 4K streaming – you don’t have to use those features. The price point of the box is a great price point even if you are only using the box as an HD box. Obviously, Scorpio is next tier. We are watching the 4K TV adoption, but it’s a bet that you have to make with hardware years in advance. Frankly, I watched what’s happening with both 4K and frame rates on PC and you can just see the PC of the gaming business seeing the 4K destination. You can see a visible difference between games running in HD and 4K. But for some people it will be too early, I think you’re absolutely right. Which is why, we have two products. So if somebody says “I love my HDTV, it’s built into my room environment”, then we still have a console for you. We built the Xbox One S for that. Certainly, if people want to buy Scorpio and plug it into an HDTV for frame rate advantages and other things, then we are going to give developers the tools to go do that. Q: Do you feel like this is going to be one more thing for developers to worry about? Spencer: Ok, so take a game like Fallout 4. That game came out on PlayStation, Xbox and PC. So Todd and the team at Bethesda had to go build that game for two different console specs and PC, which has multiple CPU combinations. They are already doing that, it is part of their design spec already. They are designing max settings and mid and min settings for PC as well as two different consoles which have slightly different performances. They have already got this matrix that they are building their games from. When we looked at what Scorpio was, we wanted to make sure that we hit a spec that could really define something which meant something to both PC and console. So, that as a developer who is already designing for a breadth of hardware, you had a real sweet spot to design for RAM, CPU, and GPU that would map to something you cared about on PC, and we could create real volume on the console side so that developers would want to target that. Unless you are a first party studio, you are already designing for multiple performance specs out there. You’re already doing that and you know how to do that. So I don’t think we are adding complexity to the process. 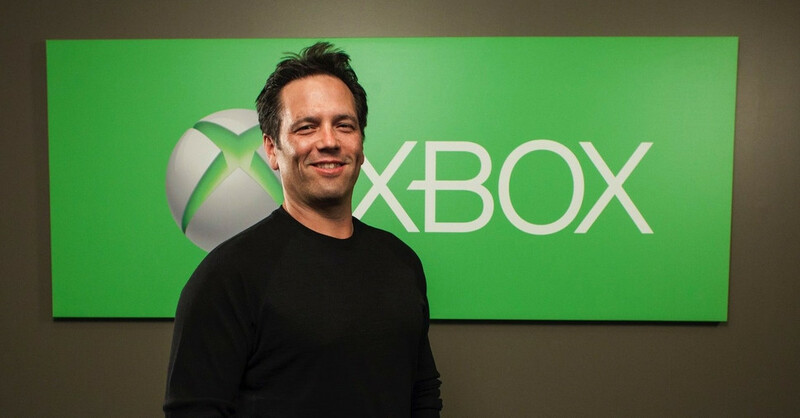 Q: Obviously a big part of Xbox’s current strategy is to bring the Xbox and PC markets closer together. Are you concerned that people might choose to upgrade their PC instead of buying an Xbox console? Spencer: I don’t see PC as competition for what we are trying to do. I know my best customers play games on other devices: their iPads, their phones, their PCs and their consoles. I’m trying to put the gamer at the centre of the way we are thinking about our platform, and design with them and developers in mind. If you decide that you want to play our games on your PC, I love that! I want to make that the best platform possible. If you play those same games on your Xbox, you just log in and those games will be available to you. That’s the whole Xbox Play Anywhere cross-save function. If you want to play with your friends that are on console on PC, we are really pushing our teams to support cross-play, allowing and supporting that on the third-party side as well, 'cause it’s really about your experience as the gamer. It’s not about us trying to get you to buy this piece of plastic, this console. It’s not like this is our trick, seeing how many pieces of candy we have to tape to it before you want it. It’s really about : where do you want to play and who do you want to play with? I think if we embrace what the gamers want to do – and, frankly, what the developers want to do as well... developers want access to as many players as they possibly can, which is why Rocket League came to us saying, “We want to make our game cross-play because we have these medium sized player bases that are all disconnected. If we can bring them together matchmaking is better with diversity in players skills.” I said, “Great! Let’s support that”. Certain people will decide to just go and play on Windows. Certain people say 'I just want a controller in my hands sitting on my couch watching my TV'. And a lot of people will go back and forth, and I want to build the capability for that as well. Spencer: [Clutches his chest in mock distress] Ugh! Games for Windows Live. Q: Is it fair to say it’s left a bad taste in some PC gamers' mouths? Spencer: It has left a bad taste in my mouth! I built games for Games for Windows Live – prior to this, when I ran first party. As platform features would come along like Games for Windows Live, I would build like Shadow Run, like Gears of War. The fact that the platform support went away hurt us as a publisher. For better of for worse, I am now in a position to remember that pain. So, when I say things like we are going to go do things on PC, because it was a couple of years ago that I started saying we are doing more work on PC than we have ever done, I would see the PC audience groan. But I look at it this year, and I don’t know if this is true. You’d have to do the math and say if I am a liar or not, but I don’t know if there is anybody who has published more PC games than we have this year. If I think about Killer Instinct, Gears of War: Ultimate Edition, Quantum Break, Ori and the Blind Forest, and now Forza Horizon 3 and ReCore, plus we have Gears of War 4 coming. I mean, I am really proud! Quality, we have learnt! I mean, if I think about some of the earlier launches and how well they did, I wonder if we really hit the mark in terms of what it meant to build PC games. We’ve been learning. But I’m really proud of the work that has been done as a PC game publisher this year, that’s been a strong part of what we think about our identity. Q: If you were talking to one of these people with a bad taste left in their mouth, what would you say to convince them that this new initiative isn’t just lip service, and that you have learned from your mistakes in the past? Spencer: Well first, they should watch what we do and judge us on that. At some point we are either going to have done enough or not. I want it to be based on our work, I don’t want to have to snake oil salesman someone into believing something. I will say the fact that we are shipping all of our first-party games right now simultaneously on both platforms, whereas we didn’t do that with Games for Windows Live. I think the fact that we have the full API set of Xbox Live available to PC. Studios, both first-party and third-party, can go build games, and we are not putting some artificial paywall into it. We are embracing where PC is today, and not trying to turn that into the console. These are all signs of our long-term commitment. I’ll harken back to the story of where we started. As someone who grew up in the creative side of building games, I feel the weight of Games for Windows Live as both a publisher and a creator. When we started making statements about the work we were going to do on PC, I really reflected back on that experience, and I didn’t want to say or do anything if I didn’t have a long-term commitment. And we do! Really from the CEO of Microsoft on down. When we go out and acquire things like Minecraft – things that are not just important to Xbox players but to gaming in general – I think it shows the overall company's commitment to us doing games on multiple platforms. Again, people should watch us and judge us by what we do. It’s our commitment – my commitment – to stay in PC gaming for a long time, long term. Q: Can you see Steam becoming part of the Xbox ecosystem on the PC? Spencer: I am a huge Steam fan, I can’t wait for Civilization VI to come out. I’ve been going back and playing a ton of Civilization V just to kind of revive my… click style [laughs]. I’m really more of a Civilization V player than a Beyond Earth one. But you know, what Valve and Steam have meant to the PC ecosystem... frankly, while we have been distracted and not focused on the full PC ecosystem, [Steam] has been great for gamers, and I applaud them for that. We have a great relationship with the guys at Valve, they are five minutes from where we sit in terms of office. A lot of them use to work at Microsoft, there is a lot of DNA between the two companies. So, absolutely I want to partner with Steam and the teams at Valve: in the work they are doing with VR, their first-party franchises, and their work with Steam. I would love to find ways to integrate with them more. I think they are a critical part of PC gaming, and they should be for years and years ahead. Q: You mentioned VR in the Scorpio announcement, and VR companies seem to be trying to gain a foothold in the market with VR exclusives. Do you think we are likely to see Xbox creating first party games for VR? Spencer: That’s a very good question. I’m going to answer no. We are doing work in VR today, not only with Minecraft, but also with some other things that are not announced. And when I think about our first-party work in VR, I definitely think about it across Xbox and Windows. I think, for me we are really early in creators using VR to its full creative capability. I’ve got all the devices. I don’t have a PSVR yet, but the Sony guys have been great about letting me demo it. But I’ve yet to really find that teams have found their full stride in building VR games. A lot of them still feel like demos and experiments on what might really create long-term engagement, and that is exactly what should be happening right now. For me, that creative energy happening on Windows is what Windows is all about. Like, you plug a USB device into Windows, you boot a compiler and write some code, and boom – you are able to build a VR game or app experience. I love that that innovation is happening on Windows and that thousands of people are building VR things on windows. Consoles are more limited and closed ecosystems, so most of our energy over the last few years has been about how can we make sure that that VR community on Windows can continue to grow and that the devices work well on Windows 10. For us going forward then, as we get to our VR solutions and things we are going to endorse as a first-party, I would want to make sure that that works across Windows and console. Just like our content runs across both Xbox Live, we’d want it to run across both. We are doing obviously Minecraft VR on Gear VR and Oculus today, opening up cross-play so that people on Gear VR can play with their friends on 2D devices. I’d want to continue that push with our VR work going forward. I agree with your question in that most people can’t seem to be able to find a way to make money doing third-party VR games today – that most of your VR experiences are really being funded by dedicated per platform hardware. I think that we’ll take a little broader approach than that. I worry that we are a little earlier for that, whether it is the capabilities of the HMD’s in frame rate, resolution and comfort. As I said, the creative language that developers are going to use to find out what the right experiences are. Everybody has the envy for iOS, and the walled gardens with all content coming through their store. I just don’t think VR has shown those experiences yet. Maybe when PlayStation VR launches they will have that. Farpoint I think is a really good game. But I still feel like we are a couple of years away from finding the true creative language for VR experiences. Videos are clearly something that is resonating. Video experiences on VR, with concerts and other kinds of travel type experiences – I think those are fantastic. Right now from a comfort level and an engagement standpoint, and even from a control… I mean, you’ve got some people with controllers, some with wands, others with click and voice. Right now we have a lot of evolution to go through before it is completely healthy. Baz travelled to Sydney to speak with Phil courtesy of Microsoft.